The funkiest most essential accessory for your dressing table this S/S18! 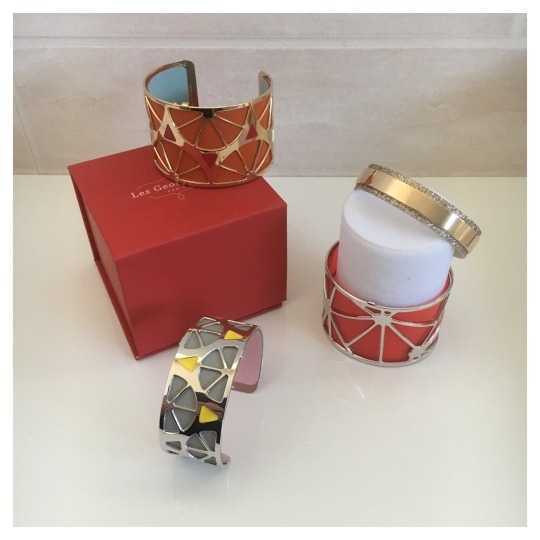 We are particularly in love with this coral Perspex cuff from Les Georgettes by Altesse because you can buy leather reversible colour inserts too for the whole range so whichever outfit you choose this will fit right in!! 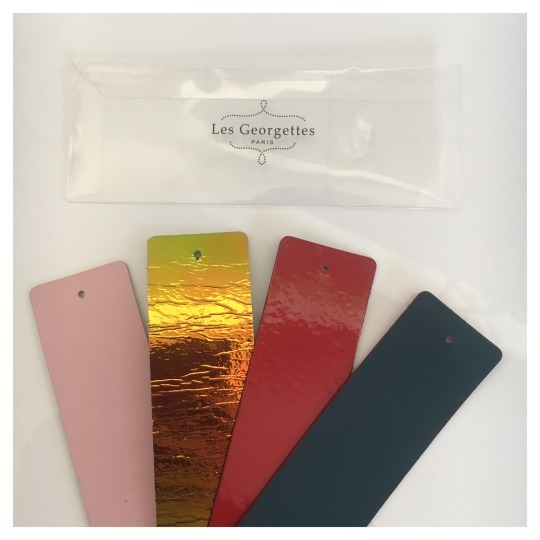 More info / Les Georgettes by Altesse is an innovative jewellery concept featuring interchangeable and reversible coloured bands, and are made in France ad they bring together the finest in jewellery and leather craftsmanship. All collections are produced with traditional French know-how in our ateliers in the Ardèche and Brittany regions, so as to provide you with the highest-quality jewellery pieces. With over 20,000 combinations possible, you’re sure to create a unique piece of jewellery that can be transformed time and time again. Recently Jourdann Dunn has been shouting out to the word about this brand that she loves! Odylique is a high performance, sophisticated and award-winning organic skincare range, created by mother—daughter team, Margaret and Abi Weeds. Formulated to meet the demands of the 21st century living, this high performance range is 100% natural and free from common allergen tree nut oils, soy, wheat and dairy, as well as parabens and sulphates. For the past 30 years Margaret Weeds has been making skincare from natural ingredients and now has produced a range for everyday use. This organic face oil is a blend of super-strength 100% organic rosehip oil, sea buckthorn and pomegranate, giving an exceptional synergy of 5 omega fatty acids, plus antioxidant vitamins and nature’s miracle phytosterols, to target dry skin and all aspects of skin ageing. Use this super serum daily or as needed to boost moisture, cell renewal and collagen synthesis for smooth, instantly radiant skin. A multi-functional skin care item, used not only to cleanse, tone and gently balance the skin’s natural acid mantle but as a soothing hydrator which in warmer weather can replace a separate. This extra-strength tonic is undiluted with water so the skin can benefit fully from a special concentrated distillation rose petal hydrolat, fortified with precious rose otto essential oil. We love it and you should too! Supermodel skin FTW!